What was the Zamzam and why was the sinking of it of historical relevance? During the early years of WWII before the United States was involved by the war, the Zamzam was mistakenly taken for an enemy British ship by the famous Nazi naval captain, Bernhard Rogge. It was the only mistake of his WWI and WWII naval career which, instead of costing him his command, eventually saved his life. What happened after the attack forever changed the lives of both the victims and their attackers. We are capturing this amazing story, tying together the stories of 350 victims aboard the Zamzam and key members of the Nazi crew who have their own historical legacy tied to the event. The victim, the Zamzam ocean liner, in 1941. Photo courtesy of the Mariners’ Museum, Newport News, Virginia. What made this Nazi captain attack a neutral ship carrying Protestant and Catholic missionaries, medical personnel and equipment, various businessmen and their goods, and even an Italian prince? It was a logical mistake. The Zamzam was built by Harland and Wolff of Belfast in 1909 as a passenger ship for the Bibby Line and dubbed the SS Leicestershire. By 1917, during World War I, she was enlisted as a British troop carrier. In 1933, she was bought by the Egyptians and renamed the Zamzam in honor of the sacred Mohammedan well near Mecca, and for the next eight years the Zamzam quietly and faithfully plied her trade. A mosque was built in one of her cargo holds, and she could accommodate up to 600 religious pilgrims on their way from the Suez to Mecca. She even transported passengers to attend the coronation of British King George VI on May 12, 1937, where German Kapitän zur See Bernhard Rogge admired her and other ships decked out for the occasion. In 1941 to maintain its cash flow during World War II as the Mediterranean Sea became a warzone and Rommel’s North African Campaign was in full swing, the Zamzam started taking on other types of passengers. Its last voyage was to transport passengers from North America across the Atlantic to various South American and African ports. Its route was from New York to Africa, with stops in Baltimore, Trinidad, and Recife. It never made it to Cape Town, Mombasa or Alexandria because it was brutally attacked at dawn on April 17, 1941. 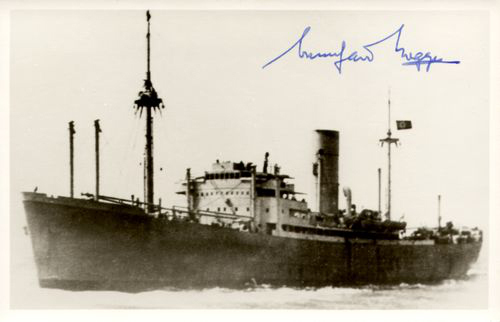 The United States was not yet involved in World War II at the time of the shelling, but all 350 aboard survived and were taken prisoner by Kapitän zur See Bernhard Rogge of the Nazi merchant raider Atlantis nonetheless. Each group of Catholic and Protestant missionaries, the British-American Ambulance Corps (BAAC), various medical personnel, businessmen, other African-bound passengers, and the Zamzam crew had different experiences based on their race, religion, and nationality. They were kept prisoners aboard two German ships for 32 days before finally landing in St. Jean de Luz in Nazi-occupied France. Upon landing, the Gestapo took over, and none of the Zamzam passengers or crew were released. African, British, and Canadian passengers were transferred to Nazi internment camps and the Americans were eventually released, via Lisbon, Portugal, back to the United States. Some Zamzam passengers and crew were not released from camps until Germany surrendered in 1945. Some never made it home. Captain Rogge was a methodical man and took his role as Nazi pirate seriously. To be the most effective, the Atlantis (also known as Ship 16) would take on the identity of other ships, often of those it had attacked, so it could sneak up on unsuspecting victims. 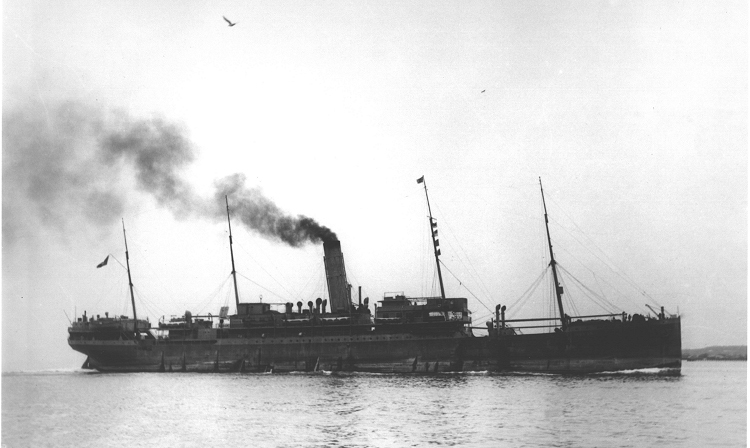 When it attacked the Zamzam, it was disguised as the Norwegian freighter Tamesis. The disguises were complete. 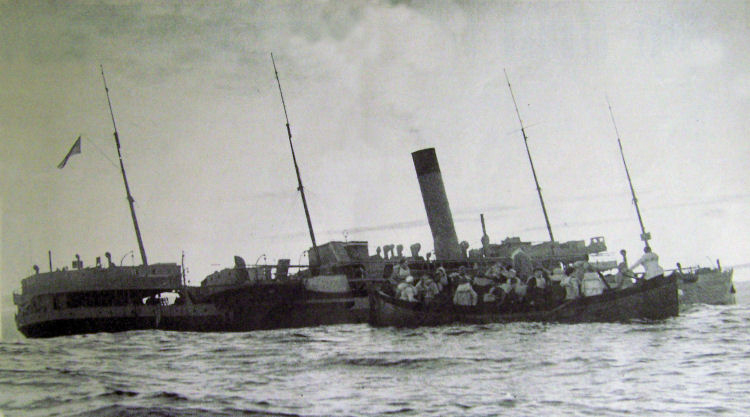 The name of the boat was painted on the side, the Norwegian flag was flying, the colors matched the original Norwegian ship, and the German crew even wore Norwegian uniforms. When the Tamesis came alongside the Zamzam, some of the Zamzam passengers thought they were being rescued by the Norwegians, only to find the officers aboard were sporting summer Kriegsmarine uniforms, complete with swastikas. April 17, 1941, the Zamzam ocean liner sinking into the southern Atlantic Ocean after being attacked by the German raider Ship 16, Atlantis.